It’s funny that “the one organ in our brain that thinks is often the one we think less about”. The brain is the most important organ in our body and it’s time we pay more attention to its health and welfare. 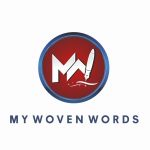 Today, My Woven Words, shares 8 habits that harm your brain. Lack of proper sleep is a bad habit that can significantly hurt your brain. It negatively affects the hippocampus causing a deficit that leads to forgetfulness. Alone time can be great for thinking, reflection and mapping out your dreams and goals. However, when the solitude is too much it can damage the mind and body. It can typically cause brain decline, affect the quality and efficiency of sleep making it less restorative, erode arteries, create high blood pressure, undermine learning and memory and generally take a toll on health; although, most of these effects are gradual and experienced over the course of time. Regardless of the fact that you are the kind of person that can eat whatever you like and remain in shape, it is important not be excessive in your intake of junk foods. This is because parts of brain linked to learning, memory and mental health are smaller and less developed in people who excessively consume junk foods. Natural foods like berries, whole grains, nuts, green leafy vegetables preserve the brain function and slow mental decline. Placing the volume of your earphone or headphone at full volume can permanently damage your hearing. It can also cause brain problems involving loss of memory or inability to remember things easily, and loss of brain tissue in your later years. This is most likely because the brain has to work so hard to understand what’s being said around you that it can hardly store what you’ve heard into your memory. The body was made to move and the longer you remain unmoving and inactive the more likely you are to suffer from diseases like diabetes, heart diseases, stroke, dementia and high blood pressure which can all negatively affect the brain in the long run. You don’t have to start high intensity workouts or start running marathons, just take a walk around your house more often or engage in an activity that gets you moving. At this point, it has already been established that smoking is bad for your body. Aside causing lung problems, smoking also shrinks the brain. It makes your memory worse, makes you more forgetful and leads to problems like heart disease, dementia, diabetes, stroke, high blood pressure, lung cancer etc. We are familiar with the saying, “too much of anything is bad”. Too much food, even of the right and healthy kind of food, can hinder the brain from building up a strong network of connections to help you think and remember. Overeating can also lead to obesity which is linked to a number of brain problems like food addiction, impulsive and disinhibited eating and in some cases cognitive problems. For the optimum health of the brain, it is important you expose yourself to natural light as often as you can. This helps to prevent depression and keep your brain working well. Staying in the dark or without natural light for prolonged periods, can slow your brain and cause a decline in the brain.